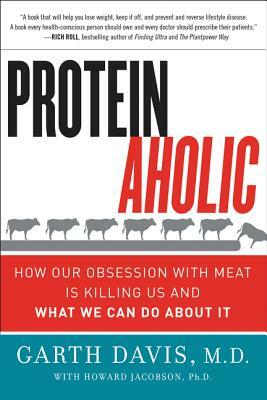 “A groundbreaking book from one of America’s leading physicians, Proteinaholic will revolutionize your understanding of your body and how to keep it healthy. Garth Davis, MD, is a medical visionary whose wisdom and wealth of experience have opened a powerful new pathway to the best of health. “Dr. Davis is in the ’trenches’ applying science to patient care and a true expert. His experience and research is groundbreaking and Proteinaholic is a must read that will be the basis for reclaiming our health. This book will be in exam rooms in my clinic. “Proteinaholic is a … book that will help you lose weight; keep it off; prevent lifestyle disease and even reverse it. A book every health-conscious person should own and every doctor should prescribe their patients.